in research, academia, biotech, brewing, and more. 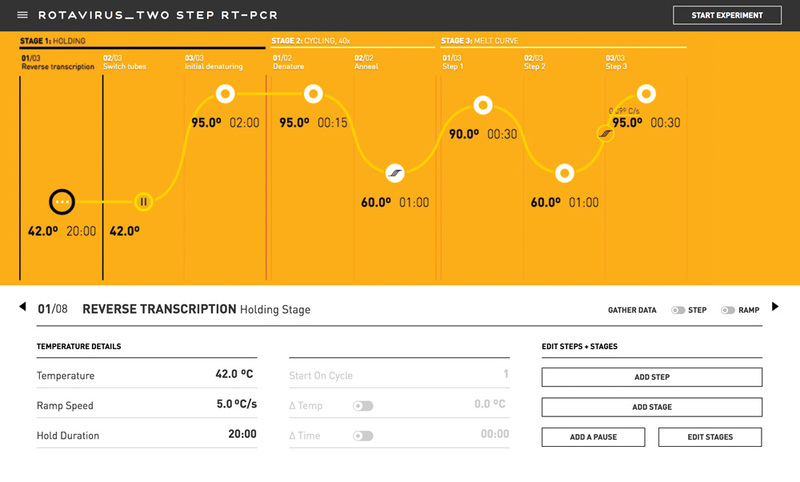 Open qPCR's thermal control is so exact that results can be directly compared across runs, eliminating the need to generate standard curves repeatedly. Amplification plot for 16 replicates of an assay with FAM-labeled probes. 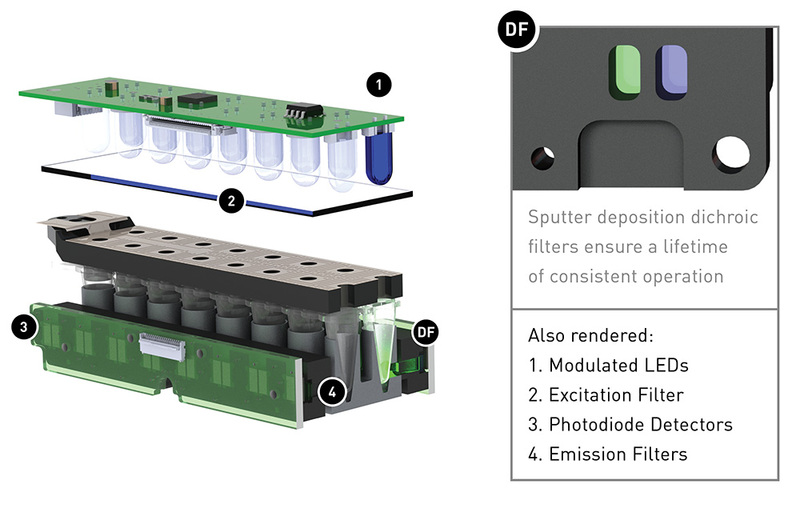 The instrument produces accurate, consistent results every time with a photodiode-based solid-state design, precision temperature control, and advanced software. Get up and running fast with simple, do-it-yourself setup and calibration. Our web-based application makes it easy to design even the most complex experiments. Protocol editor lets novice users design even the most advanced experiments. Our Open API allows integration with custom analytical or laboratory automation systems. With both heating and cooling rates of 5 °C/s, Open qPCR can run 40 cycles of PCR in 20 minutes, allowing you to get results faster and run more experiments. The Open qPCR machine has a small footprint (11" x 9.5" or 28 cm x 24 cm), so you can use it anywhere you have power. And at only 9 lbs (4 kgs), it's easy to ship. On-site or remote, you and your team can run and analyze experiments using their favorite browser on a computer, tablet or smartphone. Our master mixes and consumables deliver excellent performance at affordable prices. 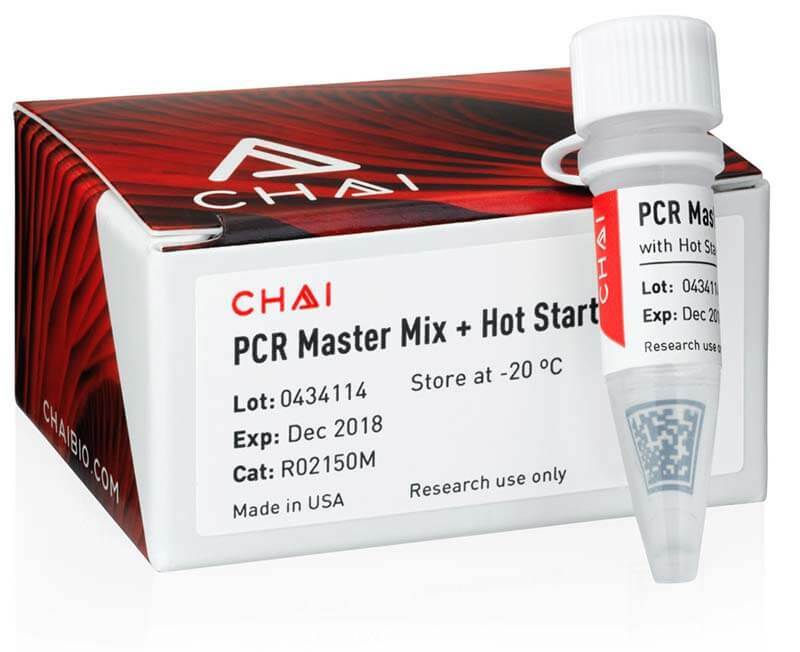 Open qPCR is compatible with all Chai products and other vendor's master mixes. Open qPCR detects pathogens, genetic mutations, and dangerous diseases using DNA diagnostics. It is used in a wide range of applications by researchers, educators, industrial microbiologists, forensic experts, biohackers and more. Damase TR, Miura TA, Parent CE, Allen PB. 2018. Application of the Open qPCR Instrument for the in Vitro Selection of DNA Aptamers against Epidermal Growth Factor Receptor and Drosophila C Virus. ACS Comb Sci. 20(2):45–54. Taylor BJ, Lanke K, Banman SL, Morlais I, Morin MJ, Bousema T, Rijpma SR, Yanow SK. 2017. A Direct from Blood Reverse Transcriptase Polymerase Chain Reaction Assay for Monitoring Falciparum Malaria Parasite Transmission in Elimination Settings. Am J Trop Med Hyg. 97(2):533-543. Damse TR, Allen PB. 2019. Idiosyncrasies of thermofluorimetric aptamer binding assays. BioTechniques. 66(5). Message us below, or chat with us now.